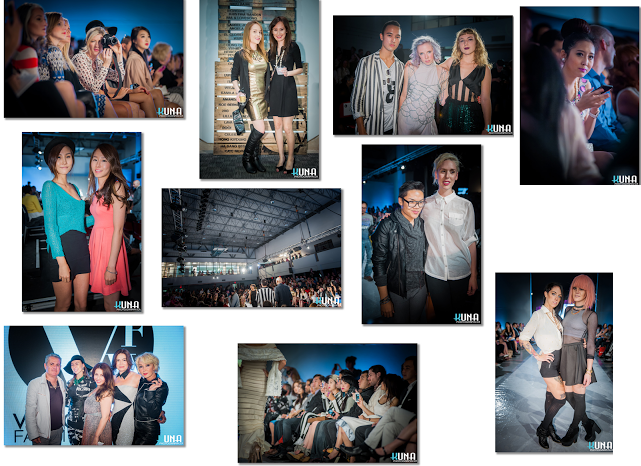 Vancouver Fashion Week S/S 14, Day 3 - Laurel Judd, LILIMING and some great candids! An opening gala plus five days of runway shows is always hard to commit to in full as there are other obligations and it is exhausting, so last night was the one day I had to miss. That said, I think the decision to do the gala and 2 days of shows, take a one day break, and then view two more days of shows will mean I can offer my best coverage to this amazing week of talent. I do love to support as many designers as possible, so didn't want to penalize those showing last night. 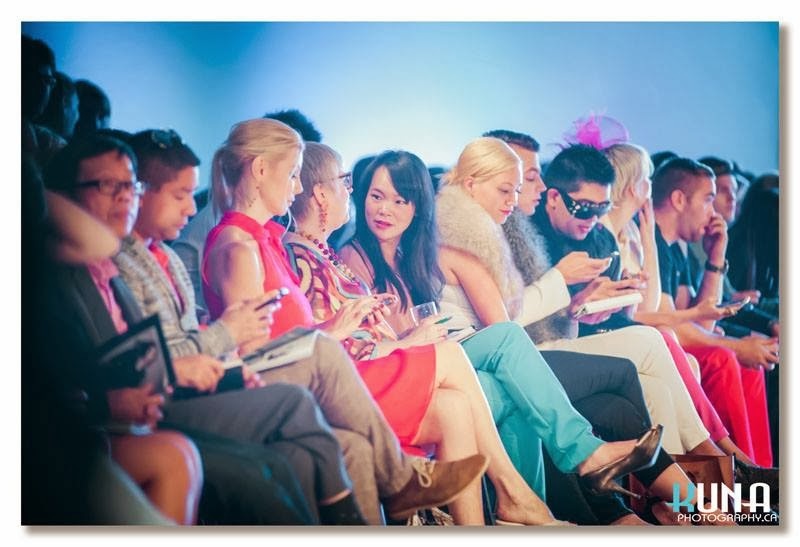 While I did not manage to see everything on the runway, my wonderful friend and photographer Peter Jensen did give me a heads up on a couple designers who brought a very unique aesthetic to last night production. I cannot give personal comments, but I can offer you the pictures for inspiration and a bit of information found online. Laurel Judd is first and foremost an internationally recognized knitwear designer and fibre artist living in New Zealand. She has been featured in magazines/newspapers both locally and internationally as well as the feature artist in the book, Stitch - Contemporary New Zealand Textile Artists. She is also an international judge and tutor in the disciplines of knitting, textile arts and design. From her website, "Laurel has a profound passion for entering Fashion and Fibre Awards, which give her the impetus to explore new techniques and push boundaries. These attributes give her the drive to always go that little bit further in designing and creating something truly unique and special." I love the variety in her runway images that range from the black/white outfit in the first image above left that I would love to have in my closet, to more conceptual looks such as in the two images above right. Kudos to this designer/artist for bringing something totally unique to Vancouver Fashion Week. I only hope I can be in a front row seat for her next show. Designer Lili Ming is known internationally as China's "Knitting Queen." Her brand - LILIMING -was founded 20 years ago and her longevity in the industry is a sign that she has hit the mark with her truly unique aesthetic. The garments you see above combine traditional knitting techniques with cutting edge fashion looks. Ming took the time to become skilled in these techniques before launching her first collection and it shows in her brilliant design work. These beautiful garments are created by hand - not with automated methods - and many represent weeks of work by a skilled artisan. She continues to contribute to re-igniting a passion for this cultural heritage by authoring numerous technical reference books. I applaud every designer who takes their artisanal heritage, creates something new and modern and launches it onto the world stage. I love these designs and covet several of them. Hopefully I can view them in person next season. Lili Ming - please come back and show again! In closing I would like to offer some great candids from the evening. I do not know many of the individuals here, so if you see someone you know - send them the link! I will try and add more as they become available.